Participating in a pilgrimage to Taisekiji, the Head Temple of Nichiren Shoshu at Mt. Fuji, is called Tozan. During the lifetime of Nichiren Daishonin, a Tozan was a pilgrimage made to visit the True Buddha. Its original meaning existed in directly serving the Daishonin and receiving His instructions. This was because Nichiren Daishonin was the Original Master who would lead all living beings to enlightenment. Therefore, the True Buddha Himself was the center of faith and worship. What, then, of the people of today, who become disciples after the Daishonin’s passing? In the Gosho, Reply to Kyo’o (MW1 – p. 120), Nichiren Daishonin states: “I, Nichiren, have inscribed my life in sumi, so believe in the Gohonzon with your whole heart.” The Dai-Gohonzon, therefore, is the perfect fusion of the True Buddha Nichiren Daishonin and the True Law of Nam-Myoho-Renge-Kyo, and is enshrined within the Hoando at Head Temple Taisekiji. By making a pilgrimage to the Head Temple, we are able to worship the eternal life of the True Buddha. The Dai-Gohonzon has been solemnly safeguarded at Taisekiji for over 700 years. If we think of the Dai-Gohonzon as the root or trunk, then all other legitimate Nichiren Shoshu Gohonzons are either branches (Temple Gohonzons) or leaves (our individual Gohonzons). The Gohonzon enshrined in each temple or the Gohonzon that we have received and to which we do Gongyo and Daimoku every morning and evening in our place of residence are all transcribed by the High Priest. These are all transcriptions of the Dai-Gohonzon of the High Sanctuary and the great merit arising from them come entirely from the Dai-Gohonzon, the eternal true source. We must never mistakenly think that all Gohonzons are the same or forget to seek out the true source of our enlightenment, which is the Dai-Gohonzon. With such an attitude we will not be able to receive the true merit of experiencing enlightenment. Without being connected to the true source – the Dai-Gohonzon – the other Gohonzons are like branches or leaves which have been cut from the tree; losing their supply of nutrients, they gradually wither away. The Dai-Gohonzon of the High Sanctuary is the foundation or source for all other legitimate Nichiren Shoshu Gohonzons. The 26th High Priest, Nichikan Shonin stated: “If you believe in this mandala and chant Nam-Myoho-Renge-Kyo; no prayer will go unanswered, no sin will go unforgiven, all good fortune will be bestowed and righteousness will be manifested.” We should always keep in our hearts a deep yearning to see the Dai-Gohonzon, the source, and, whenever possible, we should make a pilgrimage to the Head Temple where the Dai-Gohonzon is enshrined. Before He died, the Daishonin transferred the Living Essence of the True Buddha to Nikko Shonin alone, and chose him to be His successor after His passing. In a continuing succession, from Nikko Shonin to Nichimoku Shonin and so on until the present 68th High Priest Nichinyo Shonin, the Heritage of the True Law has been passed down from High Priest to High Priest, carefully preserving the Daishonin’s Living Essence as the True Buddha of Kuon Ganjo. Nikko Shonin, Nichimoku Shonin and each successive High Priest function as the exact representative of Nichiren Daishonin. They are the Great Doshi (Great Masters), or True Masters, who in each successive time period lead the living beings of the world to enlightenment. 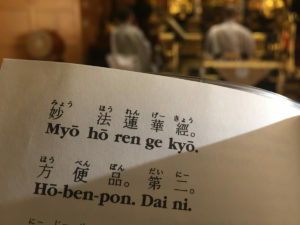 Therefore, our pilgrimage should be one of single-mindedly yearning to see the Dai-Gohonzon of the High Sanctuary and to receive guidance from the current High Priest, who is the legitimate successor to Nichiren Daishonin. We can only experience enlightenment by receiving and then practicing the correct teaching. 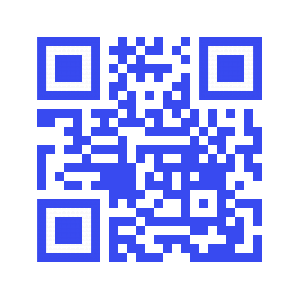 Nichiren Daishonin’ s Buddhism is based on the doctrine of the transfer of the Living Essence (Kechimyaku). According to this, each successive High Priest is the only living representative of Nichiren Daishonin during any particular time. This is called the specific heritage (Betsu Fuzoku). By firmly believing in the High Priest as our True Master of Buddhism, and by striving in faith, the individual believer can receive the general heritage (So Fuzoku). We are able to manifest the immeasurable merit of the Gohonzon by following the original meaning of the relationship between master and disciple. This can be done by going on Tozan and being allowed to pray to the Dai-Gohonzon together with the High Priest. In recent years, because of the increase in the number of believers and the demands placed upon the High Priest by temple matters, there are fewer opportunities to have an audience with Him. As disciples, however, we should always firmly maintain the yearning to see our True Master, and it is with this spirit that we should go on Tozan. In the Gosho, The Selection of Time, Nichiren Daishonin states: “Therefore the Great Teacher Miao-lo remarks, ‘Whether or not the teachings are grasped correctly depends upon the persons who transmit them. It is not determined by the sage’s original pronouncements.’ Also the Sage Miao-lo states: ‘When one accepts the Buddhist teaching, he must examine the source. If one is mistaken about the source, he will be likely to become arrogant, and therefore will not be able to attain enlightenment.’” In the path of practicing True Buddhism, one must seek the ‘source’ of True Buddhism. If he is not able to correctly distinguish the source, that person will fall into a life condition of arrogance and will not be able to experience enlightenment. 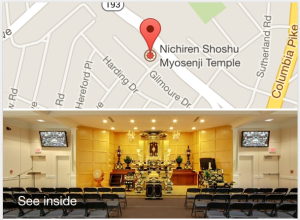 In Nichiren Shoshu Buddhism, the source of faith and merit is to be found at the Head Temple Taisekiji. This is the reason why Tozan to the Head Temple is part of the fundamental practice of True Buddhism. It is a great honor and privilege to offer our prayers directly to the Dai-Gohonzon, because the Dai-Gohonzon of the High Sanctuary is kept in seclusion and must not be open to the public until the dawning of Kosen-rufu. However, during the course of the 750-year history of Nichiren Shoshu, there has been a gradual increase in the number of believers who have experienced the merit and magnificent power of the Dai-Gohonzon and who have developed a strong yearning to actually see It. Understanding this feeling, the successive High Priests have felt compassion for the faith of these pure-minded believers and have allowed believers to enter the sanctuary which protects the Dai-Gohonzon and to permit believers to worship the Dai-Gohonzon at close range. This is called Naihai (to pray inside the sanctuary). Because prayers are normally offered to the Dai-Gohonzon from the Yohaijo (the altar in the far left corner of the Reception Hall), being able to enter the Hoando and offer our prayers in Naihai is extremely special. Gokaihi is the name of the ceremony in which the doors to the altar enshrining the Dai-Gohonzon are opened and where Naihai is allowed through the mercy of the High Priest. Gokaihi literally means ‘Opening of the Doors.’ The Gokaihi Ceremony, therefore, is only allowed for the sake of pure-minded believers yearning for the Dai-Gohonzon. People who are not believers of Nichiren Shoshu, those who are still attached to heretical sects and doctrines, or those who are believers in name only and do not possess true faith are not allowed to apply for permission to take part in the Gokaihi Ceremony. The Dai-Gohonzon of the High Sanctuary is the Gohonzon which will be enshrined in the True High Sanctuary as the source and foundation of faith for all people of the world when Kosen-rufu is achieved. Therefore, it will be treasured in seclusion and will not be open to the public until that time comes. Evergreens etc. are never offered at the altar within the Hoando, and neither is it permitted to do morning or evening gongyo there or to make offerings. During this time before Kosen-rufu is achieved, we offer evergreens etc. in the left corner of the Kyakuden, doing gongyo from afar, facing toward the Dai-Gohonzon in the Hoando. The primary purpose of Tozan is to attend the Gokaihi Ceremony; we should always consider it a special privilege to have an audience with the Dai-Gohonzon. Having an irreverent attitude or exhibiting inappropriate behavior during the Gokaihi Ceremony prevents us from receiving the Dai-Gohonzon’s merit. We must be sincerely appreciative for being able to directly worship the Dai-Gohonzon. Ushitora Gongyo is a great tradition which has been observed since the time of Nichiren Daishonin, over 700 years ago. At the Head Temple Taisekiji, Ushitora Gongyo is held at the Reception Hall (Kyakuden) and is officiated by the High Priest during the hours of the Ox and the Tiger. Ushitora, translated literally as ‘Ox and Tiger,’ indicates the time centered around three in the morning; this is the time between the hours of the Ox (1:00 a.m. to 3:00 a.m.) and the hours of the Tiger (3:00 a.m. to 5:00 a.m.). These hours have been designated as the time of the arrival of the light and the departure of the dark. This is the time when the darkness of night gradually vanishes and when the sun in the eastern sky makes its appearance in the form of dawn; it is the transition time in the movement of nature, between night and day and between dark and light. From the standpoint of Buddhism, this time is when Shakyamuni Buddha attained personal confirmation of his enlightenment and this is when, on the 12th of September in 1271, Nichiren Daishonin ended his conduct as a common mortal and began to lead the people of Mappo as the True Buddha. As we can see from these examples, the hours of the Ox and Tiger are the hours of transformation from death as a common mortal to the beginning of life as a Buddha. Ushitora time, therefore, is the time when all Buddhas realize their enlightenment. Nichiren Daishonin performed Morning Gongyo at this time, and each successive High Priest of Nichiren Shoshu has been doing the same for over 700 years. We can begin to understand the deep significance of this ceremony when we witness the High Priest officiating Ushitora Gongyo and assuming the status of the Buddha which He inherited from Nichiren Daishonin. The High Priest leads Ushitora Gongyo with the great wish that all living beings who practice True Buddhism will attain Buddhahood and that Kosen-rufu will be achieved. As proxies for the Daishonin, the High Priests have continued to observe Ushitora Gongyo, in accordance with the Gosho: “At the time of the change from life to death, I, Nichiren will come to meet you at the moment of your death.” In other words, because Ushitora Gongyo is being observed, we should have confidence that those who diligently practice True Buddhism throughout their lives will all attain Buddhahood and that Kosen-rufu will be achieved. When we are on Tozan, we are, because of the great mercy of the High Priest, granted the privilege of attending Ushitora Gongyo. Because of this, we can all accumulate the immense merit of becoming a Buddha as a common mortal. During Ushitora Gongyo, the five prayers of morning gongyo are first recited by the High Priest from the platform to the left side of the altar area of the Reception Hall (Kyakuden). The High Priest then moves to the far left side and, while facing front, performs Part A, Part C, Daimoku and the silent prayers toward the Dai-Gohonzon of the High Sanctuary, enshrined in the Hoando. 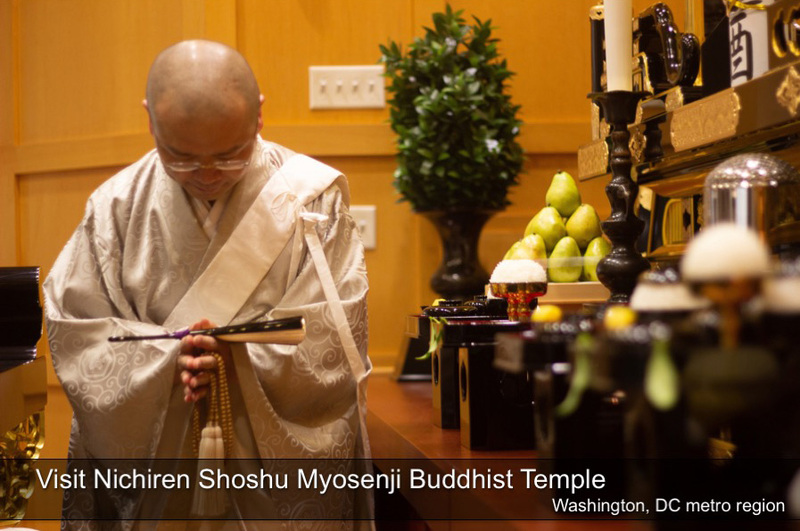 There is profound meaning in the prayers offered to the Dai-Gohonzon by the High Priest from the Reception Hall. We should have confidence that we will receive immeasurable merit by offering our sincere prayers to the Dai-Gohonzon of the High Sanctuary together with the High Priest. It has become one of the great purposes and traditions within the Hokkeko organization to be able to participate in Ushitora Gongyo when we go on Tozan! During the time of the Daishonin, there was a woman follower named Nichimyo Shonin. Upon hearing about the Sado exile, she departed from Kamakura with her infant daughter, Otogozen, to visit Nichiren Daishonin on the Island of Sado. In those days, rebels, bandits and pirates roamed freely, and it is no mistake to say that one made this journey at the risk of one’s life. It was a journey out in the open, exposed to the wind and rain, and Nichimyo Shonin made this journey as a woman alone with her child. Later, when Nichiren Daishonin moved to Mt. Minobu, Nichimyo Shonin again made a pilgrimage to Mt. Minobu, thereby showing her true faith. This strong, persevering faith is what made the pilgrimage to Sado and Mt. Minobu possible. The Daishonin praised Nichimyo Shonin’s faith and her determination to follow the Daishonin on her own, despite the danger to herself and her daughter. That is why the Daishonin gave the Buddhist title of ‘saint’ to this woman. There was also a man named Abutsu-bo who was converted with his wife, Sennichi-ama, by the Daishonin during his exile on Sado. Together, this couple served and helped the Daishonin until He was granted pardon from exile in 1274. Later, Abutsu-bo made the pilgrimage from Sado to visit the Daishonin at Mt. Minobu three times, even though he was very advanced in age. The Daishonin praised not only Abutsu-bo for making the long journey, but his elderly wife for sending him while she remained alone, never knowing if she would see him again. On his last Tozan in 1278, at the age of ninety, Abutsu-bo carried his articles of Gokuyo on his shoulder and set out alone to visit the Daishonin at Minobu, traveling for twenty-two days. The kind of faith exhibited by Nichimyo Shonin and Abutsu-bo is the true spirit of Tozan. During the Edo era, there was a great oppression called the Persecution of the Kanazawa Clan. This persecution resulted in the complete outlawing of the Nichiren Shoshu faith in Kanazawa for many years and the imprisonment of many believers. More than anything else, during the period of this persecution, it was the greatest wish of the Kanazawa Hokkeko members to be able to go on Tozan to the Head Temple. Also, at that time, the government had ordered the lords of each clan to make prescribed visits to the Shogun in Edo (Tokyo) every three years. These long processions were called Sankinkotai, and one of them included some Hokkeko members from Kanazawa. On the night that the procession stayed in the town of Yoshiwara in the Fuji area, the members waited for the rest of the camp to fall asleep and then slipped away in two’s and three’s. Outside the camp, they rejoined as a group and ran towards Taiseki-ji, which was about 10 miles away. It is said that when they arrived at Taiseki-ji, they instantly knelt on the stone path in front of the Treasure Repository. Thinking of the Dai-Gohonzon of the High Sanctuary (which was at that time strictly protected in the Treasure Repository), they chanted single-mindedly, forgetting the bitter cold of winter. They then ran back to the camp at Yoshiwara before their lords and associates woke up. As one can see, these early members of the Hokkeko had mirrored the faith of Nichimyo and Abutsu-bo. At all times, they considered Tozan a great joy and held on to their faith at the risk of their own lives. In comparison with the difficulties faced by these forerunners in faith, we have the ability to go on Tozan both safely and easily due to modern comforts and transportation. As a result it is easy to develop a lax or even selfish attitude about going on Tozan. We should carefully rethink our attitude, reflecting on the sincerity of those believers who led the way for us.